One Step closer to the future, one inch closer to the end. I say that progress is a synonym of time. We are all aware of it but its nothing we refine. I wanted to write about progress in lessons and if it can be measured, as it forces me to confront some uncomfortable truths about my own practice in the past and to think and reflect in a meaningful way about how and why I have improved and what this means for my students. Really, any discussion of pedagogy is pretty futile without relating it to the impact that it will have on learners, however, thinking about progress is tricky. It is only really in the last two years that I have given any thought to this at all. Prior to this, I worked hard, the kids worked hard, the kids did well, and to be honest that to me felt like job done. However, kids doing well isn’t the be all and end all and in the last three years I have thought meaningfully about the things that really matter to me as a teacher. These are removing barriers to learning, assisting every learner to achieve or exceed their potential, making the lessons as interesting/engaging as possible, having high expectations and caring about the outcomes for my learners. All of these are integral for learners in my class to make good progress. Progress is something I feel happens in every class but to different learners in very different ways. Obviously as a teacher the problem is then how do you assess that actual learning, and therefore progress, has taken place. I would suggest that this can be done on an individual basis with a mixture of individual, peer and teacher assessment. Obviously, classes have to be trained to accept that not all assessment, and indeed, knowledge, comes from the teacher. However, is is more than worth your while to train your learners, as those who can assess their own work will eventually be able to work independently and at the end of the day they have to sit the exams on their own. In fact, never mind exams, the whole point of our role is to facilitate them to become sparky learners who are able to work out where they went wrong and not to quit at the first sign of getting stuck but to know they can think it through and find solutions to their problems. By curating independent study skills learners are in fact making good progress, even if it is not content or knowledge driven. I think that this is also intrinsic to the way in which you measure progress. Does it mean all the students have finished the worksheet you gave them, or does it mean they have implemented these independent learning skills to find out the required information and then disseminated it effectively to their peers? Sounds kind of basic I know, but I stood at the front of a classroom for years before I realised that the latter worked much better, not just in terms of individuals making progress, but also in how that individual then developed their study skills, self esteem and went confidently into battle in their exams. What I would like to do now is think about some of the successful strategies I have used in my classroom that, on reflection, had a positive impact on the learners’ progress, and the things that maybe I would change if given a TARDIS. This reflection may be considered indulgent, but I believe it is helpful to a wider community, why make the same mistakes that I have in the past? The following categories were in the remit for this post, so forgive me for subheadings as I work through a lesson on ethnicity and the British education system- SY2 specification. This was set up for an AS class, and was right at the beginning of the year when I started using SOLO Taxonomy. Despite this, it was one of the most successful lessons I have taught in terms of progress, and happened to be observed. I can reveal the grade I received to you on request! The syllabus for AS SY2 WJEC Sociology has a heavy chunk on the impact that ethnicity has on educational attainment, not just in contemporary Britain but also historically. I used to use a PowerPoint followed by a series of individual and group tasks such as mind maps, close procedures and so on – all very blah. For this module students need to know about a range of theorists and opposing views of these, and for the A/B grade need to be able to critically evaluate these against each other. Furthermore they need to use high end thinking skills to research, evaluate and write meaningfully about a topic that many of them feel is historic. Racism in schools is one such topic, but not something many learners are comfortable discussing, however, a very real and relevant outcome for the lesson was a raising of awareness that this is not something that just took place in the 1970s, but something that continues to this present day. Alongside this was the very real need to be able to apply this new knowledge to exam questions and for learners to feel like they had ownership of the aims on the board in order to achieve them. This would enable them to make the progress to achieve the higher grade. Each learner was given a theorist to become an expert on. To do this they could use the course handbook, textbook or the Internet using their own device. They were asked to fill in the unitary section of the HOT map grid I provided. Following this they peer taught each other the remaining theorists, as I checked for the depth and breadth of their understanding of the theorist. 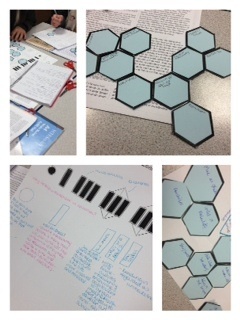 Following completion of the map, they were given hexagons on which they were asked to write the name of each theorist they had been introduced to in this lesson. They were then asked to create a pattern where each tile evaluated the tile next to it. This required them to use abstract thinking to creatively engage in why ethnicity affects educational attainment based on theoretical perspectives and in reality they were creating an individual essay plan, reinforcing the knowledge from the peer teaching section. This was by far the most successful section of the lesson. Learners told me they felt liberated having the freedom to experiment, and the majority of them made massive progress in successful learning behaviours. They developed stronger communication skills evident in their comfort explaining views and ideas to each other, asking each other for their opinions and support, and were most importantly not reliant on me. However, the biggest impact was on their progress to find out totally new material, evaluate it and communicate it with their peers within one lesson, which they could then utilise in future exams successfully. Lucky? Maybe. Ethnicity was the exam question that came up in the January exam. I have no doubt that this lesson contributed to the successes of the learners my classes and that they exceeded their target grades (above 50% achieved A/B grades compared to the national average of ~22%). These students from my classes felt confident with the data/theorists provided and were able to take control and formulate their own coherent arguments. This was because they had ownership of the ideas from the start, these ideas were not just any old theorist, but THEIR theorist they had invested their time and effort in class in. Exam results are obviously quantifiable as was my observation, however, it was the skills that the students acquired that really revealed progress made. Many previously had been reliant on me, but in this lesson they had to think – and do – for themselves. From start to finish they had come into the lesson knowing nothing about the topic, and left as mini experts. As a poll on the way out of the class I asked the students to write on a post-it note one thing they had learnt today and one thing they had enjoyed. Overwhelmingly, they all noted they had learnt to evaluate the ideas of five key theorists, but they ALL enjoyed being able to work through the ideas on their own. Teachers trust me, you can do nothing more for your class than let them discover on their own. This lesson has changed the dynamic between teacher and student, shifting the control and choice to the learners. They choose which theorists, or opinions, or information is important to them and so the content becomes student led. I give them the information they need, but they make it work for themselves and they apply it independently to the questions. I just ask them what they think and facilitate their own learning journey. This has increased progress and also given them skills to work, and evaluate, independently, which will benefit them. Maybe not now, but at university and in the wider world. The more you think about it, the more difficult progress can be to define as individuals’ academic achievement, self belief of themselves as learners and their views of where this learning will take them intertwine. However, if you define progress simply in terms of learning then as a teacher you should expect progress to occur at different rates with different students. However, with well planned differentiation, and the presence of high expectations for all pupils, you will see that most progress occurs when learners value their own journey and recognise the importance of positive outcomes, not just for the sake of pleasing their teacher, but for their own benefit and progress. There are a lot more blogs and articles on SOLO so if I have missed anything please do tweet or email me and I will add them. ← Snakes and Ladders: Learning has its ups and downs! Your students’ success has more to do with you placing their understanding and ability to critically use the information needed. By putting the students’ use of theorists work at the heart of the lesson, students have spent far more time working on the relevant higher order aspects of the work, probably without them knowing it as the students have subsumed by the learning and the challenges set by yourself. By your own admission, your previously described style of content coverage and description probably would not have exposed the students to the more challenging thinking and learning. Measuring progress? What are we measuring it against? When students are forthcoming with their own ideas; take control of their own learning; are on charge of the steps they take – how do we measure such progress? Is this impossible to measure? How do you measure an attitude towards learning? Attitudes to learning are nurtured, fostered and given quality time. 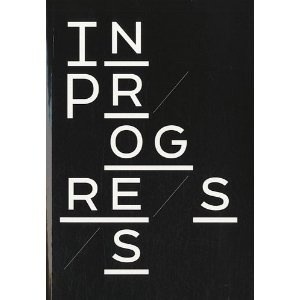 Too many times we worry about measuring progress in a lesson when progress over time is more measurable. Let’s not get too hung up on measuring progress within each lesson but more over a series of learning opportunities where students are actively involved in assessing their own progress and attitudes towards learning. Thank you for sharing how SOLO can be used to structure the learning in your lesson and more importantly, how you enable your students to really engage in their learning. Students awareness of SOLO enables you and them to make progress visuible to you all, ergo, an observer! However, I do agree with Rachel Orr, re. What the type of measuring stick can be e.g, ‘what pleases Ofsted’ is neither use nor ornament to our kids. This is a tricky topic, something I’m not sure I can write about at the moment! Your students are clearly very lucky! I think we sometimes focus exclusively on ‘progress’ in terms of students. But they won’t do that unless there is preceding and equivalent progress for their teacher. And I think your post shows this so clearly Rachel. It was your identification of a ‘dissatisfaction’ with their previous learning method as a result of reflection – the precursor to any change – that caused you to think how you might organise the lesson differently, followed by your progress with SOLO as a new technique that you’ve explored, and then the creativity of thought to engineer a series of tasks to bring about an intended outcome – that show you were making as much (if not more) ‘progress’ as your students. Really like the analytical way you’ve gone about creating a memorable lesson for the students – but also for yourself, which will cause you to change the way you teach. In terms of ‘progress’ I’d suggest you have absorbed the implications of that for yourself – and then turned it into a strategy that has pushed a faster rate of progress in your students. Important lessons here for all who seek to improve the experience of their students. Thanks for sharing. RJ, that sounds awesome – I love use of experts in lessons! I think the post-it idea was a really nice way to close the lesson, making students express what they have learned is always good. I liked the hexagon structure as a way to build up links and the cheeky bonus of an essay plan, definitely something I’m gonna pass over to some sociology/English teacher friends. I also thought your honest assessment of your teaching at the start was a nice touch – we should all be so reflective on how we have changed over the years. I wondered (and please point me to where you mentioned this if you did) if you grouped the students when it came to peer teaching by ability (either specifically mixed or streamed) or in another way? Did the students take on the expert learning in the lesson – is this something they could have done outside if you were to do this again? Yes they were in mixed ability peer teaching sets before the hexagons. Then became experts to complete HOT maps. I don’t think I described this state as well as I could have really. When you say outside do you mean literally outside?! Thanks so much for the detailed feedback. I meant outside the lesson time. Flip it! Images of us all stood on the sports field. Haha!